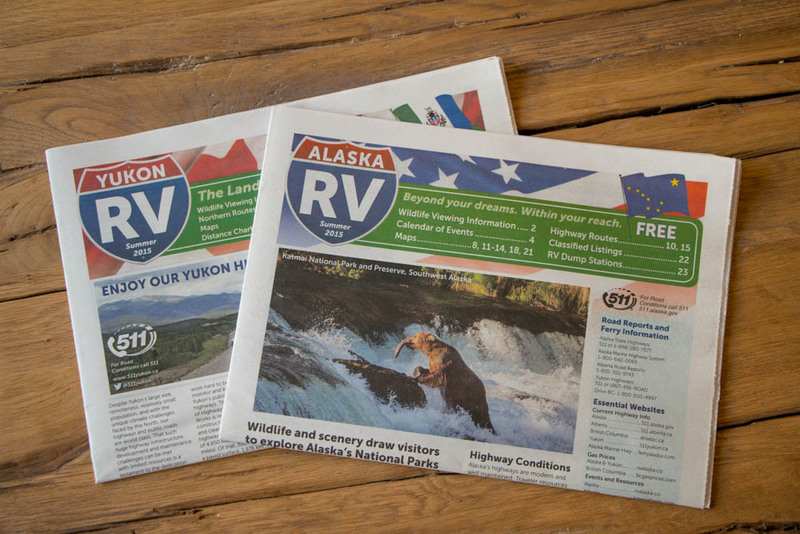 Our brand new guide, RV Alaska, has just been printed and it’s on the way to locations in the U.S. and Canada along the main routes leading to the Yukon and Alaska, along with our 2015 edition of RV Yukon. If you are thinking about going RVing in Alaska, RV Alaska has a wealth of valuable information, everything from hours of daylight, weather notes and fishing information to sections about Southeast, Southcentral and Interior Alaska with maps. Pick up a guide for free, or visit rvalaska.co. You can view an online version of RV Alaska and RV Yukon by visiting yukoninfo.com.